When I was studying in Flensburg in 1994-5, I regularly went to a bar with a shipping and nautical theme. There was a big mural of sailors cavorting on an island beach with nubile natives in grass skirts. Reasonable, being a port town. Once a week they would boil a big bucket of bockwurst, and it was cheap beer night too. You could get a wurst, chunk of bread and dollop of mustard and a few beers for super cheap, so we went every week. So, what I’m saying is there was a weekly sausage party at a bar frequented by sailors. 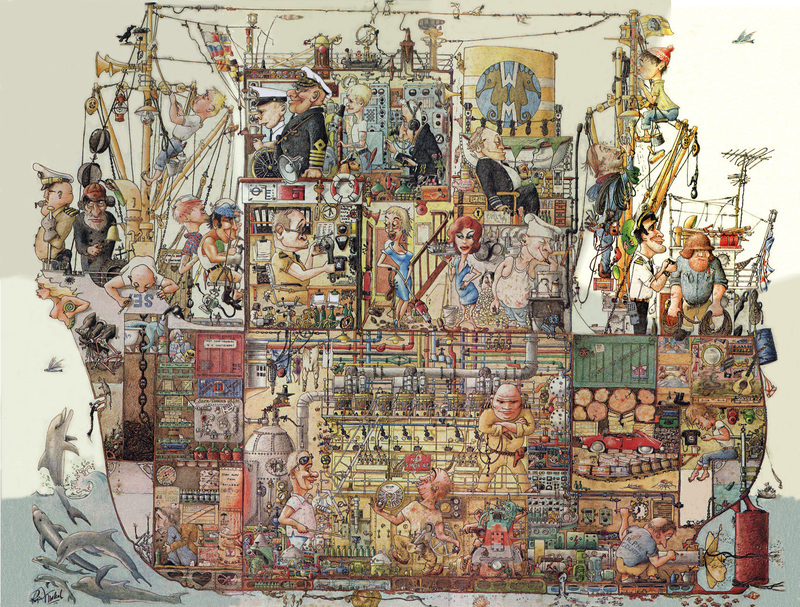 Anyway, I remember on the wall there was a big poster, showing a hyper-detailed comical cross-section of a ship. After a few Flens the level of detail would be overwhelming, and I would stand and look at it, noticing some new detail each time. This image popped into my head again recently, and so I thought I’d track it down. A quick google didn’t disappoint. It turns out to have been created by Rogier Mekel, a Dutch seaman-turned-artist in 1967. I present the image below – just check out the details! The maids – which would you choose? The position of the Plimsoll Line. 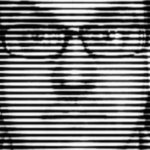 This entry was posted in "Misc" on 2012-09-20 by mjp.